Application of embedded technology in textile machinery control system WANG Yi;Tianjin Hongda Textile Machinery Co.
Study on leakage protection of shearer electrical system GONG Jin-hai;Longmei Coal Qitaihe Mining Co.
Research status and development trend of smart grid technology YOU Hai-tao;State Grid Jilin Province Electric Power Co.
Digital design technology and development prospect of agricultural machinery products LI Geng;ZHANG Peng;Zhonglian Heavy Machinery Co. Farmland irrigation design and water saving management WEN Xu-qi;Qiqihar Water Resources Survey & Design Institute Co. Analysis of automation control measures based on PLC WANG An-jun;Changchun Baosteel Steel Trade Co.
Energy-saving application of frequency converter in induced draft fan speed control system ZHAO Ling;Changchun Kaixi Environmental Protection Co. Application of online monitoring device in transformer fault diagnosis ZHOUYang;GUAN Wan-lin;ZHANG Hang;QU Zhong-zhi;State Grid Heilongjiang Electric Power Co. Analysis and treatment of abnormal operation of transformer XIN Hui-shun;Longmei Coal Qitaihe Mining Co. Analysis of market competitiveness of spray and bubble deaerator LIU Zhong-ping;Harbin Boiler Factory Co. Analysis of misoperation of transformer differential protection and precautionary measures REN Chong-li;Northeast Electric Equipment Group Co.
Research on problems of new energy distributed photovoltaic power generation HE Fu-qiang;Sanxia New Energy Jiuquan Co.
Key points and construction technology of substation electrical equipment installation technology WANG Ru-fei;Guangdong Lvcheng Engineering Consulting Co.
Several problems should be paid attention to when selecting boiler safety valve CHEN Dong;Harbin Thermal Power Co. The effect of concrete cover thickness on concrete structure CUI Chang-dong;Heilongjiang Pengcheng Construction Engineering Quality Inspection Co. 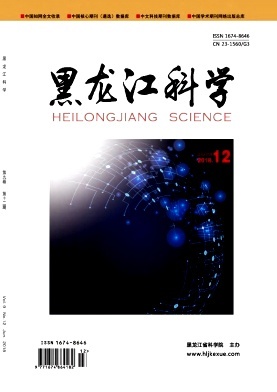 Analysis on the strategy of doing a good job in foundation testing of construction projects JIN Hong-liang;Panjin Port Group Co.
Case analysis of landscape bridge design QU Wen;Mechanical Industry Sixth Design and Research Institute Co. Application of shield construction method in subway tunnel WANG Li;China Railway Bureau Harbin Rail Transit Co.
Research on deep hole machining technology of landing gear large structure parts LIU Xian-qing;CHANG Jin-long;WU Xing-chen;Shenyang Xinbaolu Aviation Technology Co. Analysis of the reasons affecting the stability of mine ventilation system XU Chang-qi;Longmei Coal Qitaihe Mining Co. Application of rapid detection technology in food safety testing CHEN Qiu-hua;Harbin Longdan Limin Dairy Co.
Steel plant hydraulic system fault judgment and troubleshooting PU Min-hui;Baosteel Zhanjiang Iron and Steel Co. Discussion on supporting method of π-beam in mine CHENG Shao-wei;Longmei Coal Qitaihe Mining Co. Mine rock tunneling equipment and development direction of tunneling WANG Yin-hui;Longmei Coal Qitaihe Mining Co.
Coal mine heading equipment and technology status WANG Shu-ming;Longmei Coal Qitaihe Mining Co.
Effect of POE and LLDPE on the properties of polypropylene/talcum powder composites ZHU Shu-jie;JIN Jiang-bin;HUANG Guan-zhong;Zhejiang Mingjiang New Material Technology Co.